You have read an appealing profile on a dating site and you like the pictures. There was enough promise that you sent a message. After some interesting banter, you’ve set a meeting at a convenient location. So far, all your communication with this person has been online. Face to face is going to be different. You have to get off-line for those sparks to fly, but don’t let the prospect of that first meeting daunt you. It’s just a meeting, a chance to see if there might be something there—it’s not a date. Remembering that will help keep anxiety levels low and expectations realistic. 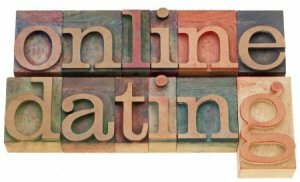 Going from online to offline is a funny reversal of what has been traditional until the era of internet dating. Meeting someone first—remember that? You trust your instincts, use eye contact, read body language and have an actual conversation. If there is a spark, if you feel you are compatible, you decide to get to know each other better. You make a date or wait for a call. It’s different when you meet people online. For one thing, you know a lot about them before a first meeting. Are there strategies for this reversed process? Sure, but before we get into the details, I must, as any good dating expert worth her salt would, mention a few safety precautions. Although you may already have these in mind, a little reminder is worthwhile. Some online daters have a false sense of security because they have already been communicating with someone for awhile. But don’t forget that even though you have chatted online or maybe talked on the phone, you are meeting a complete stranger and should proceed accordingly. Meet in a public place, where there are lots of people around. Tell your friends or family who you are going to meet, where and when, and give them a call after the meeting. Plan on a short introduction meeting of 30 to 60 minutes. Have your withdrawal strategy ready, if needed. There are some things to think about as you prepare to take online to the next—offline—level. Although your first meeting will be short, and is not a romantic rendezvous, you still want to make a great first impression. Bring the best version of you. Ladies, wear something you love that loves you back by accentuating your best assets. Guys, wear a nice shirt that matches your eyes or shows off your hours at the gym. And by all means bring your high energy and an open mind. You have seen pictures of each other online but the real live version is bound to be different. I am not trying to scare you, just remind you that a picture is, by definition, artificial and in most cases idealized. We all choose the most flattering images of ourselves to share publicly. Have realistic expectations. A great way to feel well-prepared for first contact is to re-read the profile of the person you are meeting. Doing so will help remind you of his or her interests and activities, which will be useful as conversation starters. On the other hand, starting a conversation is not the same thing as conducting an interrogation! No need to bombard your contact with a battery of questions. Simply be curious. Listen more than you speak, at least at first, and let the conversation take on a life of its own. Many first offline meetings start out slowly and that’s okay. If the goal is to discover whether there is something about this person worth pursuing, possibly to a first date, there is value to giving time and attention to the little things. Knowing what you want and need in a relationship will keep your expectations in check and avoid possible disappointments. Once you are settled with your coffee or awaiting service from a waiter, start the conversation with topics of common interest. Remember, you are prepared. You have reread the profile! Ask what is going on in his or her life, share an amusing anecdote or mention something you both have in common. And relax. Let the meeting evolve at its own pace. When it is time to leave, exit gracefully. Having plans afterward, even if it’s to let the dog out, will help you disengage. And even if things are going very well, disengage you must. This is just step one. Stick to your plan. As you prepare to leave, say thank you for meeting. If you had a good time in one another’s company and are open to a date, say so. What next? Once you have met your online connection in person, there is no going back to communicating on the dating site. For one thing, you have taken the connection to the next level and waiting for him or her to be signed on again is too unpredictable. An email, text or good ol’ fashioned phone call is best. If this contact is a person of interest, you should be well on your way to a first date. If not, this is where the communication stops. No matter what the outcome of this first face-to-face, stay committed to the process of dating, keep your goal in mind and be open. Doing so will allow more opportunities to present themselves, and somewhere out there is your ideal match!